Facebook Page Posts Not Showing In News Feed: What’s The Deal? I’ve written about Facebook’s Edgerank algorithm before; it’s responsible for determining which stories end up in your news feed. In the early days of Facebook everything made it into the news feed, much like Twitter. Today, Facebook has algorithms that determine what stories it thinks you will find most interesting. Facebook Cheat Sheet: Image Size and Dimensions UPDATED! 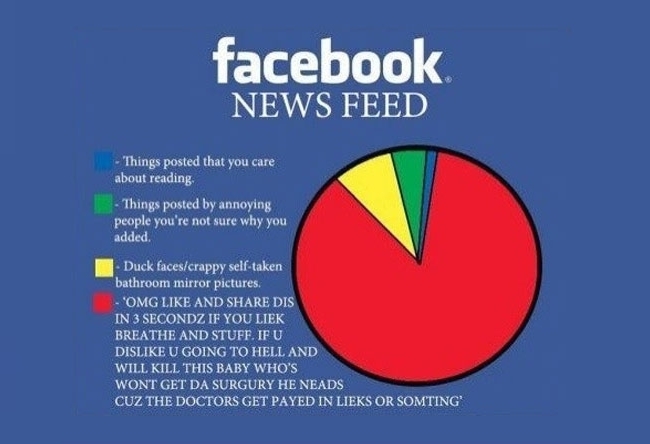 It’s true, many people scroll quickly through their news feeds not interacting with many posts. Facebook wants to make your news feed entertaining, they want you to keep coming back, right? Have you interacted with the friend or page before? I.e. like, comment, tag, share, click (basically any of the talking about this factors). Have other users marked your post as spam? Have they unliked your page because of a certain post? Are your friends engaging with the post and/or are people with similar interests and demographics interacting with your post. What is the freshness of your post, i.e. if you haven’t logged in a week, you’re not likely to see a post from a week ago, unless you scroll for a really long time. In this post I’m not going to go into every last detail about Edgerank. For details please see my other post regarding the 3 major factors that determine Edgerank: Affinity, Weight, and Time. Recently someone emailed me asking me why he wasn’t seeing his own posts in his news feed. One thing that jumped to mind is that he wasn’t engaging with his own posts! More importantly it turns out that only about only about 4% of his fans were seeing his posts. This is down some 16% percent from one month prior. So What Are Facebook Page Managers to do? After performing some tests it now appears that if you like a page “Get Notifications” and “Show in News Feed” are not automatically checked. So for anyone recently liking your page make sure they check those two options. As and added measure of assuredness ask people to assign you to an Interest List. This will make sure your posts are shown when they click their interests (on the left side of Facebook). Feel free to use the graphic on your own Facebook fanpage. 2) People who are concerned about this, may want to consider sponsored posts. For example a page with a 1000 likes could pay $24 to reach all of your fans 4 times a month. You can choose to target just your fans, or friends of your fans. The general consensus is that Facebook is doing so to encourage people to do sponsored (paid) posts. I am running some none-scientific experiments whereby I’ve liked pages and purposely not interacted with them. So what about new pages? New pages are not exempt from Edgerank, they’re forced to play by the same rules. A good idea would be to take the picture above and leave that as a pinned post. The key is: don’t be spammy! Make sure your updates are useful, use imagery and video. Short posts ten to do better than long posts. Also consider what time you’re posting. According to The Simple Science of Facebook Engagement Infographic the optimal time to post is Wednesday at 3pm, otherwise posting from 1 to 4pm is best. To combat Facebook did release “Pages Feed” which centralizes all your pages’ posts into one central feed; but will anybody use this option? And what about mobile? The pages feed is nowhere to be found. In summary, the better your content, the more people will engage and the more relevant your posts will be to them, i.e. the more they’ll keep seeing your posts. Encourage your friends, family and colleagues to help kick start you pages. Once you hit a critical mass quality content will carry and be shared. Don’t let Facebook’s Edgerank Algorithm get you down, focus on quality and good things will follow. 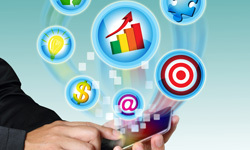 Please feel free to connect with me on social media @strategyinventr or leave a comment below! Try tagging some people you know who will share your posts to give them a boost if you don’t want to sponsor posts. Facebook groups are another great alternative. I have 16000 real (not bought) likes but few have notified me that they would not see our regular updates until they search us on search bar and come on to our page. Suggest the fix. Hi Virendra, ask them to subscribe to notifications. How can I get news feed to reload? I don’t get those choices (get notifications, show in newsfeed, etc.) when I like a business page. I only get Like and Unlike. How can I get these to appear? I am not seeing most of my business posts in my news feed. Facebook is bordering on censorship with this policy! Hello! Superb blog post you have written above. In my opinion, you have explained almost everything and I’ve even jot them down for future reading. Keep it up and I appreciate you for telling the important tips. I have a page for my website. I’ve got about 16000 likes, but if I ever post a link to my site (which is mostly why people clicked like in the first place) I only have about 200 see it. However if I post a status without a link I get about 1000 people see it. If I was getting more interaction on my statuses than my links, I could understand that, but I get roughly one interaction per 60 views on a link, but one per 150 views on my statuses. Do you have any idea why, or what I can do about it, (other than paying)? That’s some great info, Steve. Very helpful. I’ll be tweeting that article! Thanks a lot for this post and thank you for permitting us to use your “Don’t Miss Our Facebook Posts” graphic. 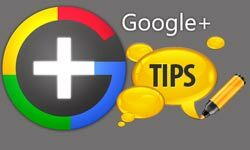 The fact that it is possible to have people give a business’s more leeway in their feed could be a way to go around the edgerank issue. I hope that Facebook will not make it more complicated for people to promote their businesses for free. 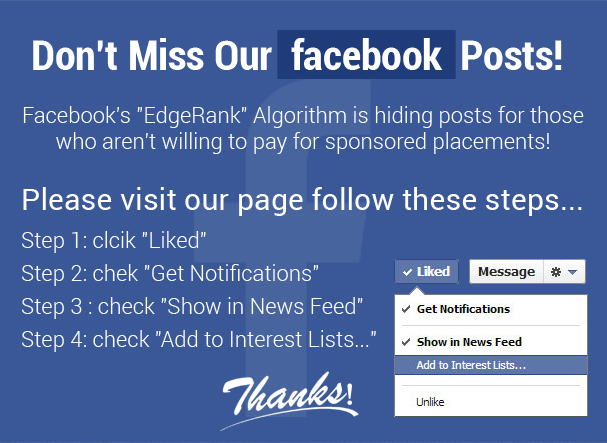 Good coverage of what businesses should know about Facebook Edgerank. Interesting infographic and thanks for the point about the optimal time to post on Facebook. Useful tips on improving the showing of Facebook page posts in the news feed, Steve.